The owner of an apartment complex in Upstate New York has been arrested for fraud in connection with his failure to provide workers’ compensation insurance for an employee who was raped and murdered in 2007. Douglas Kelly was arrested following a joint investigation by the New York State Insurance Department’s Frauds Bureau and the Workers’ Compensation Board Office of the Inspector General. Kelly is accused of failing to insure Tammy Periard, who was employed by Kelly as a property manger when she was killed. He is also accused of lying by testifying at a Board hearing that Periard did not work for him. Binghamton police arrested Kelly on charges of perjury and workers’ compensation fraud. He was released on his own recognizance pending a hearing to be scheduled in Broome County Court where the case will be prosecuted by Assistant District Attorney Michael Garzo. Authorities learned that Kelly failed to carry insurance when Periard’s estate filed a death benefit claim with the Workers’ Compensation Board. The Board paid the woman’s estate $50,000, an amount Kelly reimbursed to the Board earlier this year. 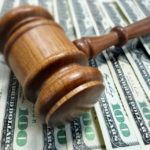 The money was paid from the Board’s Uninsured Employers’ Fund, which pays claims for people whose employers neglect to carry workers’ compensation insurance. In addition, Kelly also paid $5,000 for Periard’s funeral and another $6,000 in penalties to the Board for failing to carry insurance. Kelly also has an outstanding $30,000 penalty for operating without insurance this year. He is disputing the penalty, saying he doesn’t have any employees. Periard, 45, worked for Kelly Management. She managed several apartment buildings owned by Kelly in the Norwich area. Her body was found inside a first floor apartment at a Henry Street apartment complex in March 2007. The tenant of the apartment, Daniel L. Brown Sr., was arrested for her murder. He was sentenced to life in prison in December 2007. Kelly could be sentenced to up to seven years in prison if he is convicted. that they caught and convicted the suspect. Insurance fraud is a serious crime. Also glad that the murderer is off the streets.